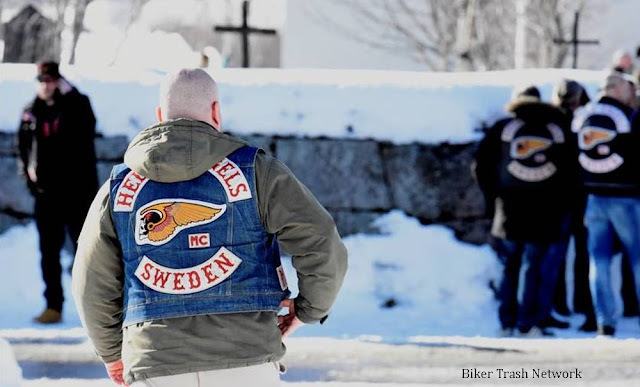 Överkalix, Sweden (March 22, 2019) BTN — Several hundred members of the Hells Angels Motorcycle Club had chosen to attend when a full member was buried. Kent Nilsson recently died after a long-term illness. 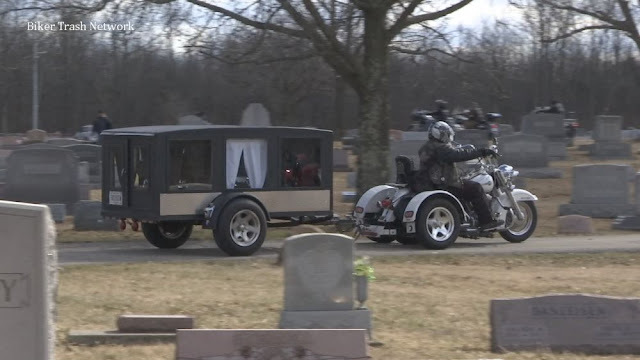 At the time of his death, the 65-year-old had many years behind Hells Angels. When Kent Nilsson was taken to the last rest on Friday, a large number of Hells Angels members from all over Europe chose to attend the funeral in central Överkalix. Just over an hour before the funeral service began in the church, Hells Angels members began to gather. Cars filled the parking spaces in the small community while men, dressed in vests with the infamous emblem, stepped off buses and transported them from Luleå. 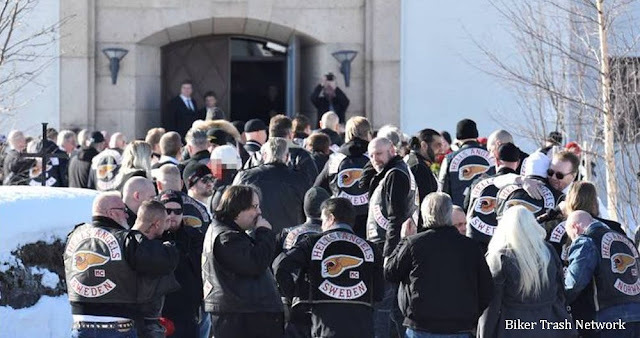 Jörgen Eriksson, president of Hells Angels department in Luleå, and the full member Miika Silvennoinen received those who chose to attend the funeral outside the church. The large number of people who applied for Överkalix came from the 15th century fully-fledged departments located in Sweden. Alongside them, men from Norway, Finland, Denmark and several other countries in Europe traveled all the way to Norrbotten. A man carried an emblem on his vest which showed that he was the president of the Costa del Sol in Spain. Another represented the organization in Austria. In addition to the large number of full members, there were also minions in the form of members of the clubs' Red and White crew departments in place. A large number of men from support clubs like Red Devils MC also participated in the funeral in Överkalix. According to one source, the police management chose to keep the guard in Överkalix. To Norrbottens Media says Lars Öberg, Local Police Area Manager in East Norrbotten: - We know it is a funeral of a full Hells Angels member today, and we have a certain guard. So much can I say. I don't want to say much more. The funeral service took just over an hour before the coffin with Kent Nilsson was carried out to the burial of Jörgen Eriksson.